An air route connecting the Mekong Delta city of Can Tho and Thai capital city Bangkok was launched on July 21. 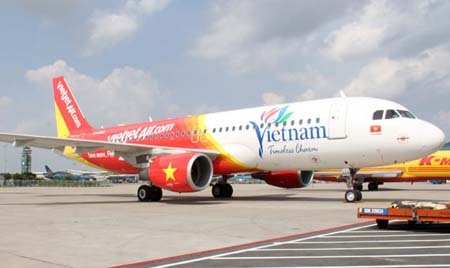 Vietravel, a local travel agency, will use chartered flights operated by Thai Vietjet Air to fly passengers from Can Tho city and Mekong Delta provinces to Thailand. There is one flight every five days with ticket prices starting at 2.7 million VND (123 USD) for a one-way ticket. The launch of the route will save time for the city citizens and helps Can Tho promote its tourism to Thai tourists. The Can Tho – Da Lat air route was also previously opened. The Can Tho International Airport served 225,000 passengers in the first half of 2015, up 72 percent, but only a small fraction of its design capacity of 3 million passengers a year.